The owner of a Hanoi noodle shop where Anthony Bourdain slurped down 'bun cha' with former US president Barack Obama expressed her shock and sorrow Saturday over the death of the globetrotting American celebrity chef. 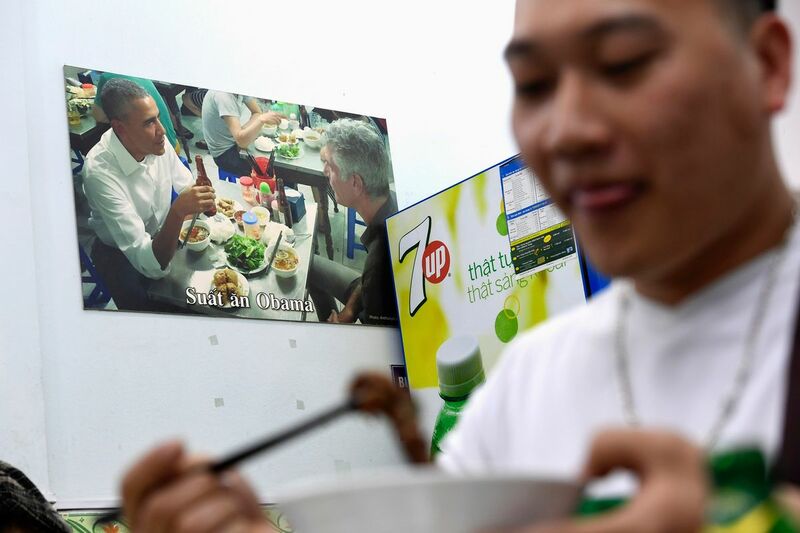 Bun Cha Huong Lien restaurant in the Vietnamese capital's leafy Old Quarter soared to fame after the 2016 sit-down between Obama and Bourdain for his CNN show. The pair shared a simple meal of pork noodles and fried spring rolls -- each dish worth around $3 -- and photos of the casual dinner quickly went viral. Bourdain died by suicide while in France filming an episode of his Emmy-winning CNN food and travel programme "Parts Unknown", the network said Friday. He was 61. "I was surprised and sad when I heard about (Bourdain's) death," Nguyen Thi Nga, co-owner of Bun Cha Huong Lien restaurant told AFP. "(Bourdain) was a nice, friendly and folksy person... He praised our bun cha dish and its fish-sauce broth. He loved Vietnamese food," Nga said. Bourdain came to Vietnam several times throughout his life, making several TV programmes about his fascination with the country's food. "I came here to share the grief of the loss of such a talented chef... he was a such a special person because he had such a great passion for Vietnamese food," customer Nguyen Quan told AFP.